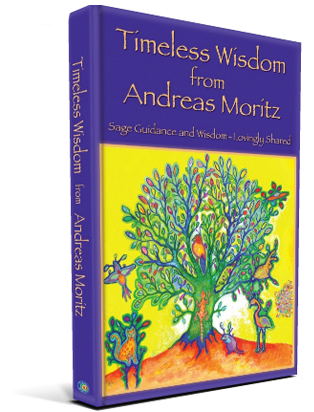 Timeless Wisdom from Andreas Moritz is a respectful compilation of quotes, carefully selected from Andreas’ comments and responses to questions posed on his forums or addressed to him one on one. His deep spiritual awareness, compassion and pure, loving essence, combined with a thorough understanding of the human body, have inspired thousands of people to lead more vital, uplifting and balanced lives. May these words, sentiments and loving guidance continue to provide comfort and warmth, wrapped in timeless support and healing from the heart.